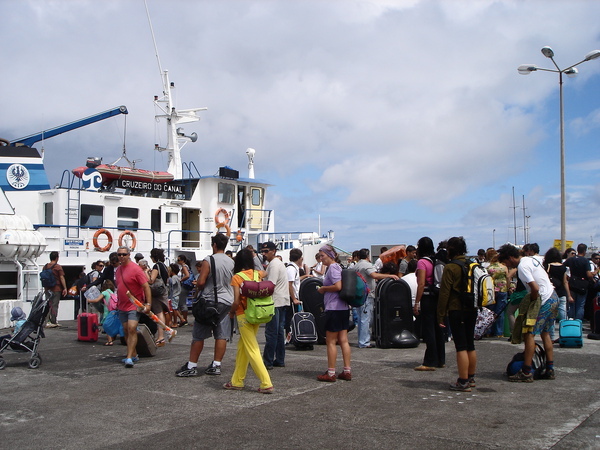 To be honest, Madalena on the island of Pico gives one the feeling that it is just a point of transit; most people simply consider it a place of arrival/departure. As a result, the whole town has a somewhat 'irrelevant' feel to it. 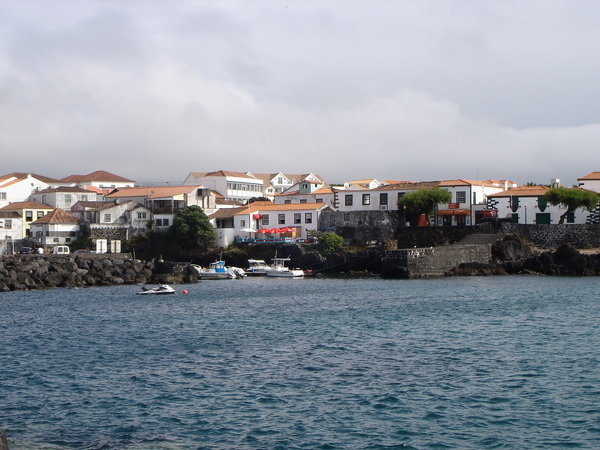 Apart from the harbour (to catch a ferry to other Azorean islands), a few cafes and shops in the town's main streets, there is almost nothing which calls for serious attention. 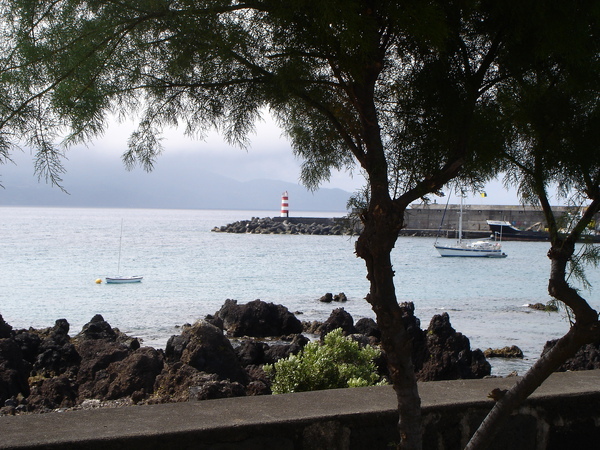 The old harbour of Madalena. Basically there is nothing much to do in this town, except for getting off and on the ferries. There are a few cafes where you can spend your time looking at the sea while waiting for the ferries, but that's it actually. It is a bit boring a place to visit, even for a short day-trip. You certainly need a car if you want to explore the beauty of the Pico island. 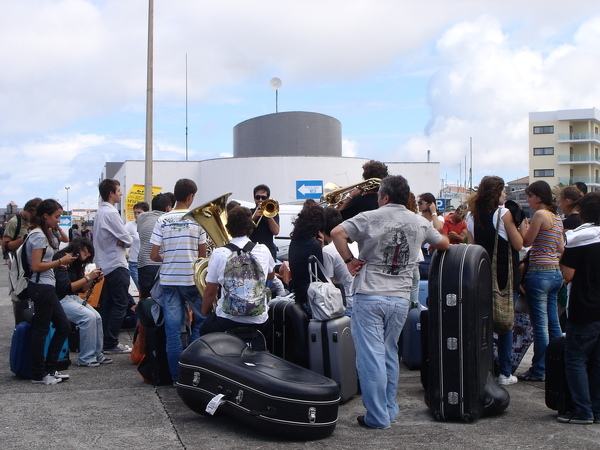 Members of a brass band that had just returned from a tour of Europe gave a spontaneous performance on the pier to the applause of passer-bys and fellow passengers. 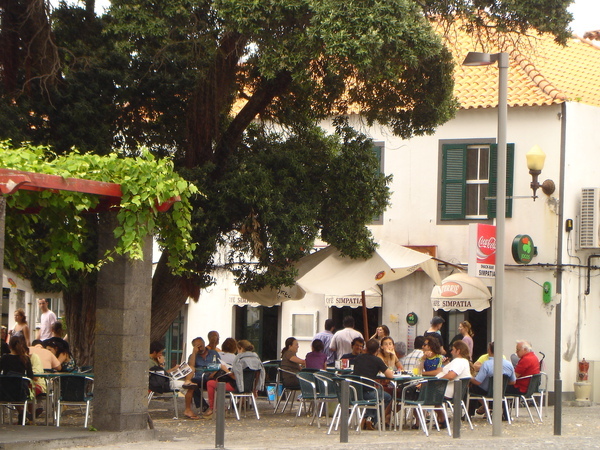 The redeeming feature of Madalena is, there are some very reasonably priced cafes and eateries that offer delicious home-cooked foods. If you find yourself stuck in Madalena for whatsoever reason, and need to have something to eat, this place (Cafe Simpatia) has great steaks with rice, french fries and salad for 5.50 euro. The weather was less than ideal during our brief stay on the island. 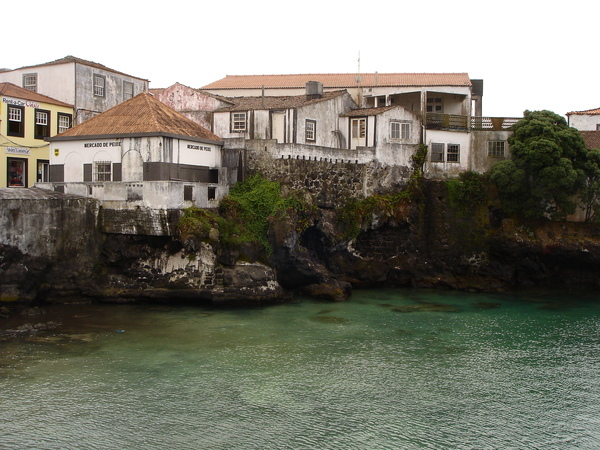 On a sunny day, the island of Faial is clearly visible, but when it gets cloudy, all one can see of Faial is shroudded in mists in the background.